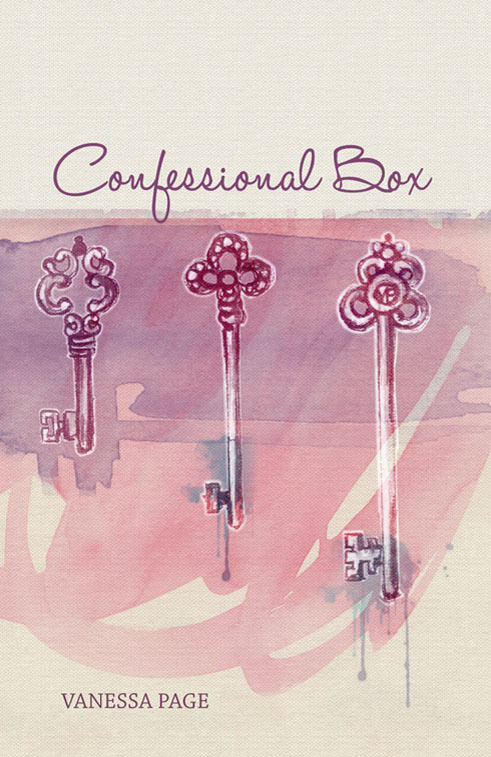 Confessional Box is now available for pre-order through the Walleah Press online bookshop. Visit today to secure your copy. Of course if you can get along to either of the launch events in February you can pick up a signed copy from me. Don’t forget that all books come with a beautiful Maryanne Oliver designed bookmark, featuring a poem from the collection! The original key artwork was created by Maryanne Oliver and the graphic design work was created by Jessica Fazakarley (Mondo hue designs). The time has finally come to announce details for the launch of my debut full-length collection Confessional Box. Running to approximately 80 pages, the book features the best of my two shortlisted Arts Queensland Thomas Shapcott Poetry Prize manuscripts and is being published by Tasmania’s Walleah Press. The wonderful Brett Dionysius is launching the book at this event, and I will be performing a selection from the book alongside some other very fine poets. You can find out more about the line-up and ticketing by visiting the Riverbend Books website. The book will be launched by Graham Nunn at this event, copies will be for sale and I will be performing a selection of poems alongside the traditional Speedpoets features and open mic poets. Books will be for sale at both of the launch events – but if you can’t make it along, they are also available to order direct from Walleah Press. Cost is $16 each or $18.50, including postage. Anyone who has a Walleah Press publication in their collection will know that these are lovely quality books. Making this book even more special is the cover design, which features some original Maryanne Oliver artwork, combined with the graphic design magic of Jessica Fazakarley. To celebrate the launch, all books will come with a limited edition Maryanne Oliver bookmark. Maryanne created the ‘key’ artwork for the book’s cover and is a well known Brisbane illustrator and artist who has exhibited her beautiful work internationally and domestically. Bookmarks will also be signed by the poet and artist. Please contact me if you would like further information about any of the above details. Putting together a book like this is a big effort and there are many people who have assisted throughout the process. I thank you all for your belief, encouragement and support. To the readers, I hope you enjoy reading these poems as much as I have enjoyed writing them. It is a wonderful feeling to release such a large collection of poems into the world! In response to my challenge to tap other writers on the shoulder to write about their ‘next big thing’ (book/project/other), I’m pleased to share the responses I have received from two great writers, located a world apart! Firstly, Robyn Evans who blogs at the Siren of Brixton who talks about the process of writing her novel – a supernatural thriller. Robyn is a Brixton, London based short story, screenplay and fiction writer. Robyn’s talent and determination to keep pushing herself within these very challenging art forms is very inspirational to me. Secondly, the Tasmanian poet and prose writer Cameron Hindrum, who I met at last year’s Queensland Poetry Festival has stepped up to the plate to talk about his poetry projects. Cameron expands on the processes behind his wonderful chapbooks Private Conversations (Vol 1 and 2). Keep watching this space for more responses from some other wonderfully talented writers!